Maksym Kopeychykov, a partner of Ilyashev and Partners Law Firm and a lawyer of the firm Leonid Gilevich will take part in drafting legal reviews for the annual survey Doing Business 2016 published by the World Bank. This year our lawyers are going to focus on preparing an expert opinion regarding two indicators – Registering Property and Protecting Minority Investors. The Registering Property indicator measures the procedures, time and cost required to transfer a commercial warehouse from one company to another. In 2016 this indicator will add questions on the overall quality of land administration systems. The Protecting Minority Investors indicator, in its turn, measures legal protections afforded to minority shareholders of domestic corporations and is one of the 11 indicator sets published by the report. Leading lawyers of Ilyashev and Partners Law Firm have been actively participating in drafting Doing Business report starting from 2006. 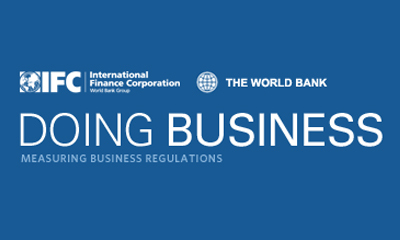 Doing Business report is an annual publication of the World Bank Group that reflects simplicity of execution of business activities in 189 economies worldwide based on 11 indicator sets. The main aim of the project is to provide an objective basis for understanding and improving the regulatory environment for business around the world. The project, which was initially published in 2003, has benefited from feedback from governments, academics, practitioners and scientific reviewers.